Hi everyone, just wanted to reach out to readers new and old with various ways to stay in touch with my writing. Firstly, a huge thank-you for visiting my blog - I hope you come away inspired, encouraged and maybe even mildly amused! Secondly, I love hearing from you, so if you've been touched in some way by anything that I've shared please let me know, you can email me directly at stricklandmusings@gmail.com or leave me a comment on any one of my posts. I promise to reply! 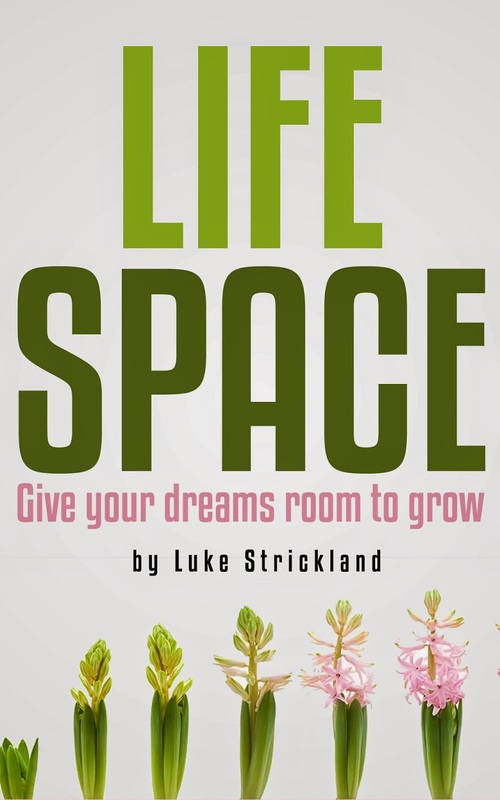 My book Life Space is now available for download on Amazon, so please check it out. It's a great read (if I do say so myself) so grab hold of it today! You guys are all amazing - thanks for sharing my writing, musing, blogging and dreaming journey with me, and keep dreaming big in your own lives!